RENT A BIKE ON YOUR CYCLING VACATION, OR BYOB? - Terry Peloton. You are here: Home / Sidesaddle Blog / RENT A BIKE ON YOUR CYCLING VACATION, OR BYOB? RENT A BIKE ON YOUR CYCLING VACATION, OR BYOB? The Big Cycling Vacation Question: Rent a Bike, or BYOB? Joy, Santana Tours bike mechanic, checking brake setup for customers who brought their own tandem on cycling vacation – Joy is rocking a Terry sleeveless top also! Cycling vacations are an awesome way to see exotic places, meet new friends, and get in some great rides. To get the most from your trip, you’ve got to have the right bike. The big question is, should you BYOB – bring your own bike – or rent one at your destination? In three years of working as a bike mechanic on cycling trips with Santana Adventures, I’ve seen people have a great trip either way. But I’ve also seen bike issues derail a great vacation, and I wanted to share some tips to help make sure that doesn’t happen to you. First, whether you bring your own bike or rent, there are two things I’d recommend you bring from home: your saddle and your favorite bike shoes. Saddles are super important to your comfort and highly individual in their fit. 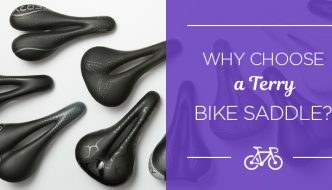 You won’t be able to get the exact same broken-in saddle from a rental shop, and believe me, you don’t want to be trying out a new one on vacation, when you’re going to be riding every day! Bring the saddle you know and love from home, and if you’re putting it on a rental bike, take time to get the forward/back and tilt adjusted just right for your riding style. Bring the right cycling shoes, too. You don’t want to bring brand-new shoes and then find they pinch or rub. Some people bring their own pedals, but frankly, as long as you know the pedals on your rental have the right clipless system for your shoes, there’s not much difference between one set of pedals and another. Call ahead of time if you’re not sure what kind of pedals are on a rental bike. In deciding whether to rent or BYOB, look over your itinerary and think about the logistics. It can be a hassle to travel with a bike, especially if you’re traveling to multiple places and only plan to ride for part of your trip. 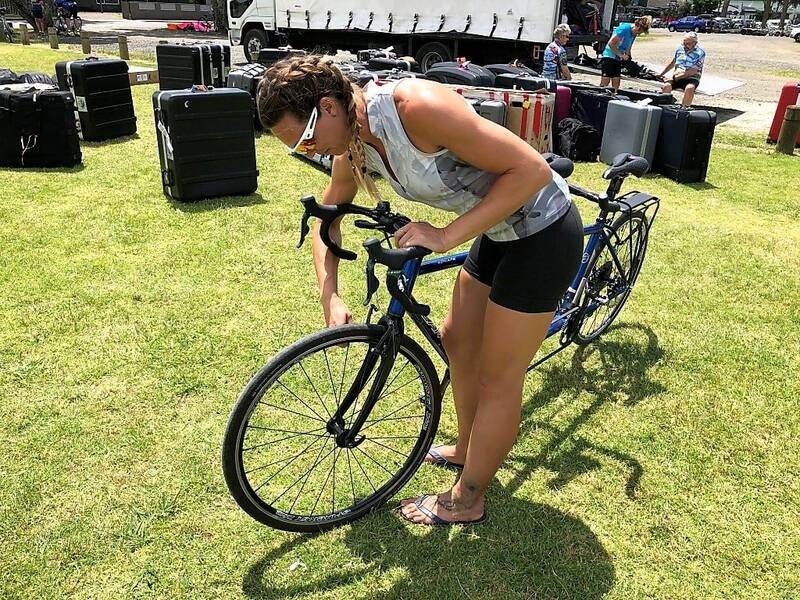 Plus, there’s always the possibility of your bike being damaged in transit, either by baggage handlers or by TSA staff, who often open up bike boxes and look through them but don’t necessarily know how to repack the bike correctly. Bikes can also get damaged when they’re being transported in a truck between rides, so you might want to do a little research on whether your bike is already covered by an insurance policy. If not, you might want to buy a policy that covers it, at least for the trip. Renting can be a fun chance to test out a new model of bike that you’re thinking of buying. 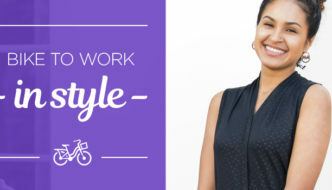 If you’re arranging your own rental, you’ll probably be working with a shop that lists bikes for rent on a website, where you make your selection and provide your height, weight, pedal preferences, and any special requests like telling them that you’ll bring your own saddle or want them to flip the rise on the stem. Good rental places will go the extra mile and set up your bike the way you want it ahead of time, but you should still allow an hour or so when you pick up the bike so that you can have them adjust it to suit you and your riding style. If you’re traveling internationally, you might find that the bike shop has models you’ve never heard of before, because each country has its own rules for importing bikes and typically its own manufacturers, too. If you’re not familiar with the models offered, I’d recommend you go to the manufacturer’s website and look up the specs for the models you’re considering. You can then compare the geometry of the bike, its components, and frame material with the model you already own or one that you want to try. Your local bike shop might be able to help you understand how the rental models compare to bikes you’re familiar with. For most people, most of the time, I recommend bringing your own bike unless it’s too complicated or too expensive to do so. After all, you chose it to suit your preferences and you’ve already got it all set up the way you want it. If you’re bringing your own bike, have it tuned before you go to make sure it’s running well. Even more important, the mechanic might find a problem, like there’s a bearing that’s going bad, or you need new derailleur cables, or new brake pads. Get those potential problems taken care of ahead of time so they don’t interfere with your trip. Clean your bike before you pack it up. This will help ensure free movement of drive train components. When there’s dirt in pulleys or derailleurs, shifting gets a little chunkier and can detract from your riding experience. You can clean your chain with a degreaser specifically made for bikes or the dish soap from your kitchen—either works fine. Using a rag gently wipe the chain making sure to get into the spaces around the derailleur and pulleys. Consider bringing spares of some hard-to-find parts. Recently when I was a mechanic on a cycling cruise a passenger’s derailleur was destroyed — but fortunately he’d brought an extra derailleur hanger. If he hadn’t done that, the odds of our being able to find him a replacement were pretty small. Derailleur hangers are highly specific and extremely difficult to replace. I recommend you bring your standard roadside repair kit plus a spare of any component that’s unusual and unique to your bike. For example, you may want to bring extra spokes that are specific to your wheels because you might find them hard to get where you’re going. When you consider how much a cycling vacation costs, it’s worth protecting the quality of your trip with a little foresight and a few spare parts. And a final item for your bike packing list: some chain lube. You might not be able to bring it in your carry–on, or buy it easily once you reach your destination, but you can usually pack it in checked luggage. Got all that? Great — let’s pack! Some manufacturers sell special hard-sided cases with foam cutouts for wheels, handlebars, and the like. These can be pricey but a good investment if you’re planning to travel with your bike often. If not, many people use cardboard bike boxes. You can get one from a bike shop, or you might still have the one your bike originally came in. They’re not expensive but they’re not super sturdy, either. I recommend that you take the extra time to wrap everything in good packing material like foam pipe insulation or bubble wrap within the cardboard box. Also, I’ve learned from experience that it’s not a bad idea to use duct tape along the bottom of the box in case it sits in a puddle. When you pick up your bike box at the airport or your destination, look at the outside for water damage, holes, crushed places, or bulges that weren’t there before. Ideally, investigate any issues before you leave the airport so you can document any claims for damage. Take a close look at any components that were near the holes/crushed places/bulges. Whether or not there was any external sign of damage, when you unpack your bike, be especially careful with the rear derailleur. This is the most sensitive piece of your bike because of the way it hangs off the frame. It’s easy to bend it — or have it bent in transit — and not recognize the problem right away. 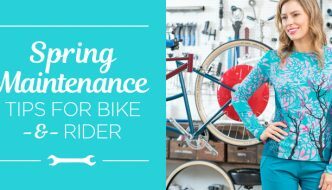 You need a mechanic’s eye to know for sure, but if your bike’s not shifting right, that’s probably the issue. Also, look carefully at the frame. If it’s a scratch on an aluminum bike, that’s a bummer but likely to just be a cosmetic thing. But if you see a scratch on a carbon bike, look closely. The carbon fiber pattern can make it hard to see if there’s a problem. If there’s just a superficial mark, that’s OK, but if there’s a hairline cut, your entire frame could be compromised and you may not want to ride it. Another way to check the integrity of a carbon frame is to tap on it at regular intervals using a 25 cent coin. It should sound solid and almost metallic. If at any point it makes a thud-like sound, like knocking on soft wood, that could indicate a structural flaw and you should get your bike checked by a professional. The tap test on its own can be misleading, especially to the untrained ear, so the best advice is to make sure: if you see something that looks like a crack, you should get it checked out by an expert. Follow all these tips, and you and your bike should be set for an awesome bucket-list cycling vacation. Enjoy the ride! Joy Armstrong has been working as a mechanic in bike shops for ten years and frequently supports Santana Adventures cycling cruises. In her spare time, she races and divides her time between Colorado and Hawai’i. Joy: I enjoyed your article. However, when my husband and I checked into one of the overseas trips with Santana, we were highly encouraged to pack our carbon fiber Calfee bicycle. Our tandem does not have couplers and we were very leery to pack it. Santana discouraged renting a tandem for the tour as it seemed like it was too much of a bother for them. Therefore, we opted not to book the trip. Thought you should know that their actions don’t match what they print.